WHAT A WONDERFUL BLAST FROM THE PAST!! A classic film to DVD transfer with background music added. See a marvellous classic collection of 7 young USA stars from the 70s and mid 80s including Jesse Gautreaux, Ernie Santiago, Joe Nazario, Charles Glass, Constantine Spanoudis, Robert Pittman and Jim Sacchetti. Ernie Santiago and Joe Nazario are pictured on the front cover. See more photos below. Nazario, Santiago and Glass photos by Wayne Gallasch, others by Charles F. Luscombe Jr. Rugged muscle workout sequence and outdoor posing featuring JOE NAZARIO. Our classic film footage of Nazario was shot by Wayne at Future Man Gym, Amityville, Long Island, NY in July, 1976. This classic shoot features, definition and tight, hard muscle to blow your mind. Lots of full-color close-ups and detailed muscle shots. See more photos of Nazario at the bottom of this page. 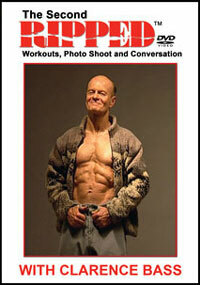 ERNEST SANTIAGO is in ripped contest-ready peak condition. He serves up a rugged ‘brick-wall’ of muscle in an awesome posing display. Ernie knows that he looks incredible, as he literally shocks you with the mass and depth of muscle he very factually presents to the camera. He literally serves the muscle on a platter. Plenty of pulsating muscle close-ups; writhing veins on bulging biceps, rippling pecs, rock hard abs - and that famous U.S. Marines biceps tattoo. Actually filmed on the day that JESSE GAUTREAUX won the Mr. USA title. See the incredible intensity of that brutal muscle competition which shows in his every move! He was also notable for his great "tash"! Jesse shows every muscle fibre in a fiercely competitive display of muscle and definition. First he puts on a rugged pumping exhibition with dumbbells and then concentration flexes until every rock hard muscle is screaming with rippling definition. A breathtaking muscle display – you haven’t seen anything like this before. Jesse is a new superstar of the sport, and shows it all with superb full-color close-ups and rugged muscle! For hard muscle, definition and intense competitive emotion – Jesse has it all!! CHARLES GLASS is a former LA Collegiate gymnastics champion who was a top Mr. America contender at the time of this shoot. 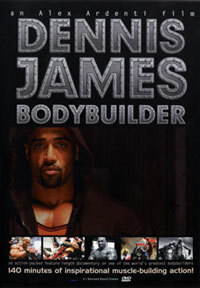 In this film Charles pumps and poses in a tight tank top – putting the visual focus on those great arms and shoulders. He pumps and flexes his arms and shoulders to a rippling vein-bulging muscle climax; a shattering display of muscle-pump agony. An awesome and very, very rugged display of muscular arms from every angle – oiled and fully pumped – filmed in extreme close-up detail. Charles is now a Personal Trainer to the champions. Once again, this was shot in the studio on the actual day that KONSTANTINE SPANOUDIS won the 1981 Overall Teen Mr. USA title. Kon also won the light-Heavyweight Class in this event. The previous year Konstantino (as he is now called) won the 1980 Mr. Eastern America - AAU, Teen Tall Class. He is ripped, showing incredible shape, and was the sensation of the contest – a solid and clear winner who immediately captured the audience. This is a photographic study in classic Greek symmetry, with graceful posing, flawless skin, and aesthetic presentation. Surely a future top champion. In direct contrast to the rugged, brutal muscle show presented by Jesse, JIM SACCHETTI presents the beautiful, symmetrical muscular physique in a posing presentation that will leave you gasping. Jim has perfected his posing to the point of virtually being a young Frank Zane. Jim’s superb posing style and startling full-flexed muscularity provide a magnificent combination of great muscle and beautiful presentation. And, there are plenty of close-ups of super muscle and several shots of abdominal muscle control. In our humble opinion, this segment of Jim could become one of the finest muscle movies in many years. It is destined to be regarded as a classic. 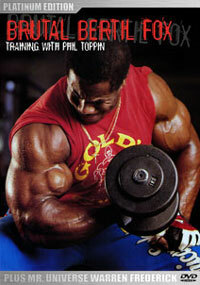 Natural bodybuilding is increasingly popular and many customers have asked for videos of natural physique men. ROBERT PITTMAN of Louisiana is a top natural bodybuilder in current competition. He is 28 years old and has been in heavy training for six years. Robert is an experienced outdoorsman as well as a pilot. He presently works as a watchmaker. 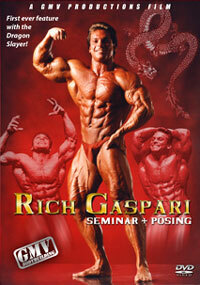 In this DVD Robert presents hard muscularity, perfect proportions and graceful posing. A full display of muscle and symmetry accompanied by wavy blond hair, blue eyes and a ready smile.